Tracks: The Gael / Pamela Rose Grant / Andy Broon’s Reel / Jocky’s Treble Tops / Debbie Ann’s Reel * The Marianna / St Gilbert’s / Paul Anderson’s * Tianavaig / Betty Jessiman, Huntly / Dr Iain Macaonghais * The Setting Sun * Alasdair Fraser’s Compliments to Lorna Mitchell / Eoghainn Iain Alasdair BEM / The Open Fence * The Green Loch / The Quiet Man / The Ness Lassies Reel / The Flawless Juggler * Mrs Meg Jamieson of Roadside Cottage / Iain Macphails’s Julie and James Rollo’s Wedding March * Marni Swanson of the Grey Coast / Planxty Crockery * Starjump / The Reunion Reel / The Fyrish Reel * Discovery / Dun Ibrig / The Point Road / Streams of Abernethy / Crabbit Shona * John Kerr’s Jacket / The Parks of Kenway / Break Yer Bass Drone * Magnus Hendrichson / Calum’s Waltz / New Year Waltz * Welcome to the Hamilton House / Farewell to Decorum / Dance of the Woodbugs * Ambleside * Sarah’s Waltz / Tanks for the Memories / College of Piping Summerside PEI * The Doune Lofge Two-Step. Featuring Aly Bain, Ian Hardie, Eilidh Shaw, Kathryn Nicoll, Phil Cunningham, Freeland Barbour, Allan MacDonald, Duncan MacGillivray, Gordon Duncan, Mary Ann Kennedy, Simon Thoumire, Hamish Moore, Jack Evans and Jim Sutherland. 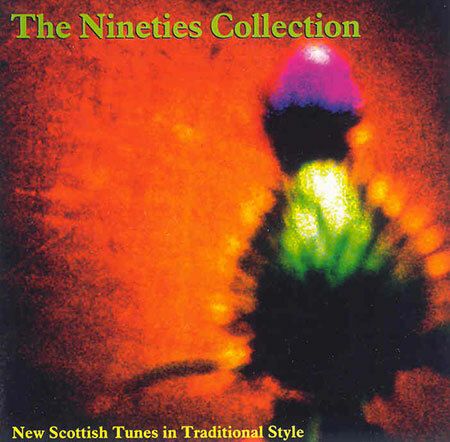 New Scottish tunes in traditional style, including contributions from some of Scotland’s best-known composers on the traditional music scene plus entries from The Nineties Collection Competition.